The Peconic Land Trust is proud to announce the 2nd edition of the Quail Hill Farm Cookbook. With over 200 recipes, and more than 30 new and exciting dishes, that turn local vegetables into delicious meals, the Quail Hill Cookbook is sure to delight all cooks...from novice to chef. If you've ever wondered what to do with Rutabagas, Purslane and all that extra Zucchini, look no further! The newly revised second edition also contains a complete guide to harvesting and storing fresh vegetables. Home gardeners will also learn tips and tricks on planting - particularly what works best on the East End. Also included are recipes from some of the most renowned restaurants of the Hamptons: Nick & Toni's and Estla's Little Kitchen. 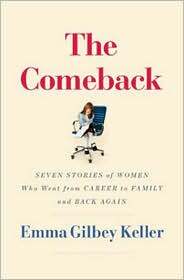 The Comeback is a book of tales of different women in different careers, ranging froma doctor, a lawyer, a teacher, a financier, a photographer, a furniture designer and a human rights activist. Keller's insightful and engaging reportage offer readers a new way to look at these timeless issues as they learn from her subject's experiences. Returning to the work force doesn't necessarily mean returning to your old job or career. You can return to the work force, but it might not be to the exact job you left. It's as much about evolvin, as "coming back." Did you really believe your first job would be your last? Are you the same person you were then? Of course not! Be your own advocate: mothers who seem to be able to move mountains when it comes to speaking up for other needs but often find it difficult to promote their own needs and abilities. The South Fork of Long Island extends only forty miles, stretching east into the Atlantic Ocean from the Shinnecock Canal to the majestic bluffs of Montauk Point. Dotting the coastline are the stylish Hamptons: Southampton, East Hampton, Westhampton Beach, Bridgehampton and the villages of Sag Harbor, Amagansett, Water Mill and Sagaponack. The landscape in which these towns sit is unique in the United States. It is not one landscape but a collection of them dune, farmland, woods, bays, swamps, ponds, marshes, pine barrens, and a high ridge, the moraine left by the glacier that long ago swept across the continent. All is bathed in an extraordinary silvery light that, at once warm and crisp, washes over both land and sea. 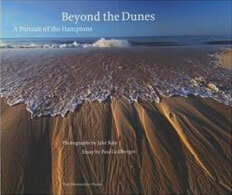 Acclaimed photographer Jake Rajs has created a compelling portrait of the Hamptons, juxtaposing pirvet hedges and pumpkin fields, crashing surf and serene coves, fishermen and polo players, contemporary houses and modest shingled cottages. Most important, he has captured the light throughout the day from misty dawn to the vivid colors of sunset. An unforgettable novel of tremendous emotional heft, Stone Creek brilliantly illuminates how the powers of love and loss transform the human heart. In the small town of Stone Creek, a random encounter offers two lonely people a chance at happiness. Danny, a young widower, still grieves for his late wife, but for the sake of his five-year-old son, Caleb, he knows he must move on. Alone in her summer house, Lily has left her workaholic husband, Paul, to his long hours and late nights back in the city. In Stone Creek, she can yearn in solitude for the treasure she's been denied: a child. What occurs when Lily and Danny meet is immediate and undeniable–despite Lily being ten years older and married. But ultimately it is little Caleb's sadness and need that will tip the scales, upsetting a precarious balance between joy and despair, between what cannot happen…and what must. An unforgettable novel of tremendous emotional heft, Stone Creek brilliantly illuminates how the powers of love and loss transform the human heart. A tribute to the strength and beauty of the town McMasters grew up in, and an attempt to restore dignity and hope to the town she loves. McMasters traces the downfall of the place once known as The Town of Flowers from a promising summertime beach community to a desperate and broken place, filled with desperate and broken people. The story of Shirley parallels that of a nearby federal nuclear research facility and Superfund site, which covertly sprung up alongside the town behind the cover of the Pine Barrens. Three leaking nuclear reactors and countless chemical spills have released carcinogens into Shirley, and in 1996 the families of a childhood cancer cluster and other town residents afflicted with breast, thyroid, and lung cancers sued after the lawyer from Love Canal took their case. While it’s impossible not to grieve for the multitudes of parents of lost children and the children of lost parents to whom McMasters introduces her readers, WELCOME TO SHIRLEY demonstrates powerfully that–even with the evidence on their side–justice is elusive, particularly when it involves a town that everyone, including those who live there, regards as disposable.